Delicious Reads: Pride & Prejudice Character Quiz! Pride & Prejudice Character Quiz! 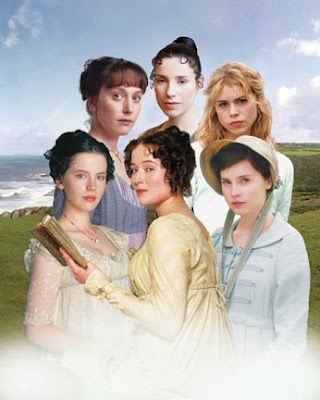 I've been so wrapped up in reading Pride and Prejudice recently that I've began to wonder which of the girls I am most like. I found several P&P character quizzes online and after taking about 10 of them I found one I liked best. If you would like to take the quiz yourself to see who you are most like then click HERE. It's fun and please remember to leave a comment on the blog to tell me which character you ended up with! "I am Jane. I am beautiful, but modest. I am caring and loving. I always try to help others before myself. Sometimes my naivete can blind me and leave me vulnerable to other people." Elizabeth for me, but I was like Kelly and they made me answer a tie breaker question that gave me . I was 85% Jane and 85% Elizabeth. I am Jane but there was a close second place tie between Charlotte and Elizabeth. Elizabeth! Although I also had to answer a tie breaker question and Jane was a close second. :) What a lovely book this is. Elizabeth, as well. Jane and Charlotte tied for second. Ok this is crazy I was totally Lizzie at an 85% likeness! But, in second place was Mrs. Bennet at 50% explain that one to me? I guess I can see that I'm mostly responsible with some kooky parts to my personality; -) I just watched all 5 hours of P&P (with Collin Firth) it was wonderful!!! Watch it if you can!! Y'all! I cant. even. wait. for P&P Book Klub!!!! K I am a dork I just read it again and we are not twinners. Bummer but we did have all three the same names. Can't wait to see u all at club.